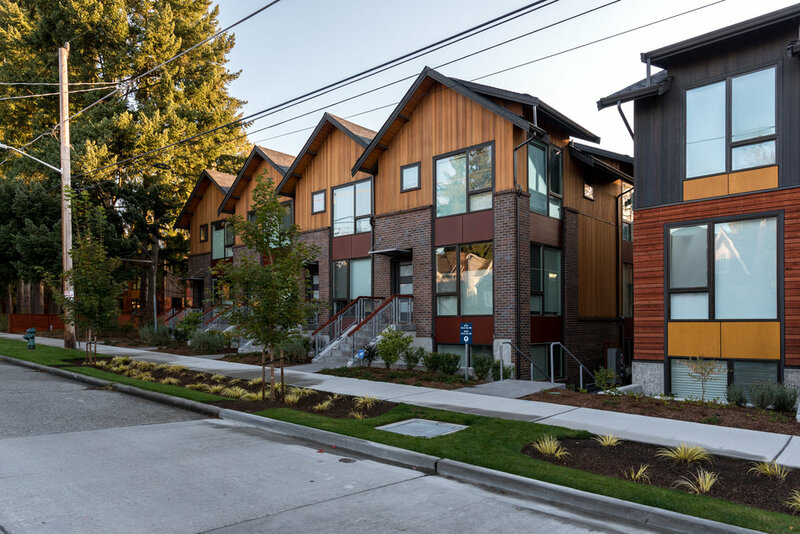 Bryant Heights arose after Seattle Children’s Hospital chose to consolidate its campuses into one new facility, leaving a full block on the top of Bryant Hill in Seattle’s Bryant/Ravenna neighborhood available for redevelopment. The site housed existing buildings nearing the end of their lifespan due to age and neglect as well as significant parking areas, green space, and some truly exceptional trees. 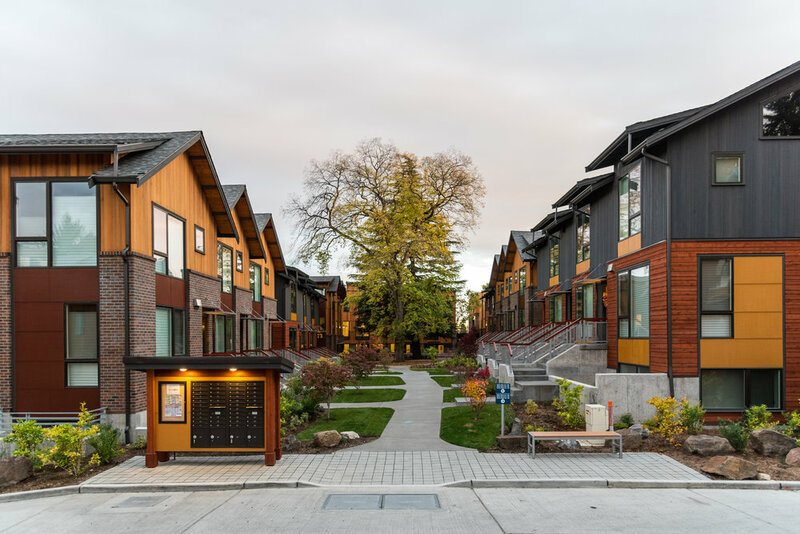 With the land sitting unused, the pastoral parts of the site had become an ad-hoc park space for the immediate neighborhood. 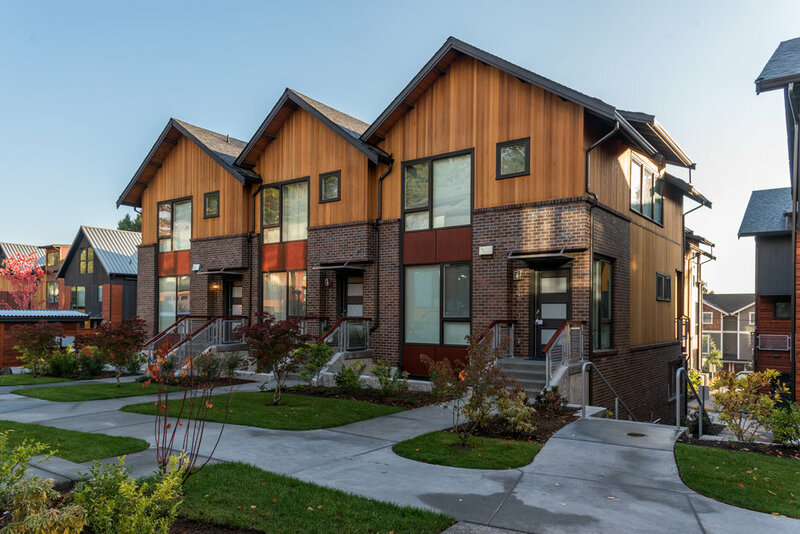 Bryant Heights revitalizes the community and creates a gentle transition from the busy commercial character of Northeast 65th Street to the dense single-family neighborhood beyond. 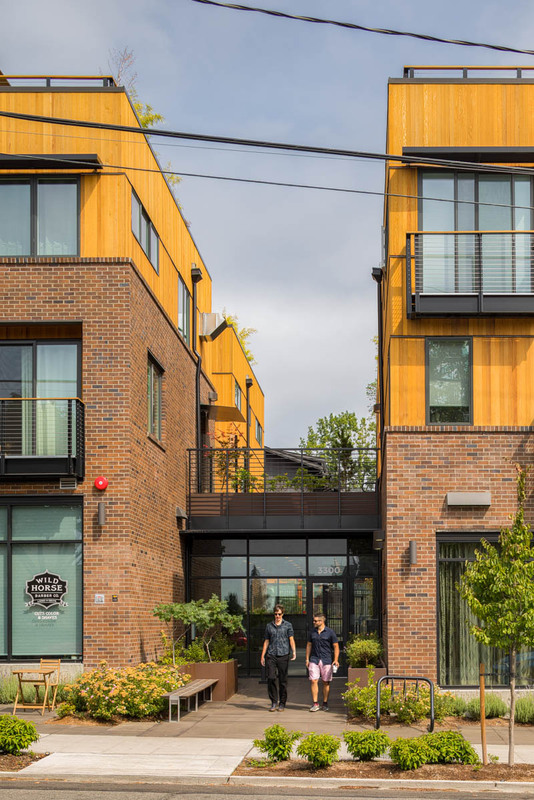 Twenty-eight condominiums, eight live-work units, and 6,500 SF of commercial space fit seamlessly with their surroundings by incorporating landscaping and massing methods that step down at the pedestrian and integrate themselves into the landscape and neighborhood. 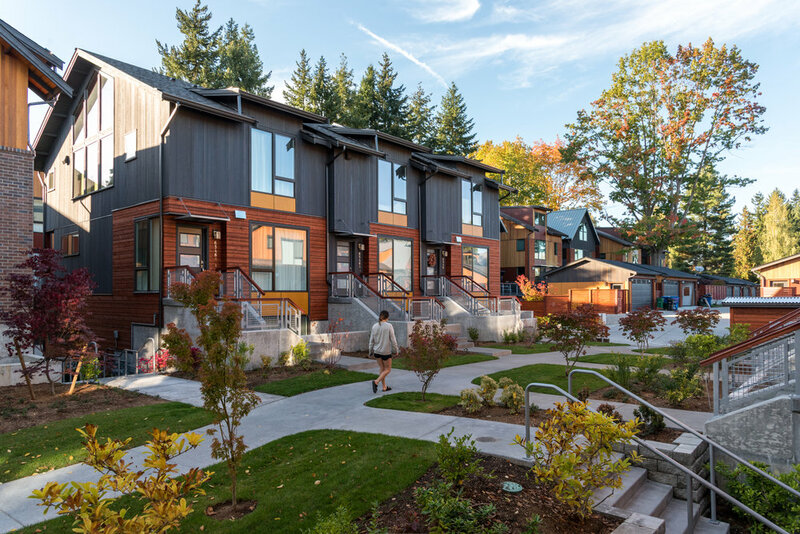 Bryant Heights worked around the exceptional trees on site, preserving the delicate canopy shelter the community. This sensitive approach to siting allowed the existing exceptional trees to preserve their delicate but ubiquitous canopy, creating a sense of place and permanence.